Because you’ll be paying to attend a driver training school, you want to ensure that your money buys you the best training. This will guarantee your qualification will meet the right standards and snag you employment sooner rather than later. learning how to drive in the most fuel-efficient way. Professional certification is renowned and even expected in traditional industries, such as accounting, IT, teaching and management. In these sectors, a certification helps establish and enhance the career of a professional along with increasing their prospects and opening them up to a wealth of new opportunities. For those in business, certification is becoming more and more important as a way to gauge digital knowledge and skills in order to make the right hires. For future and current employees, it's a way to keep up with technologies and trends in order to stay relevant and digitally aware. If you’re a business that depends on fleets for your daily operations you should give serious consideration to accredited driver training programmes. Here are the pros and cons for both. Drivers gain experience to handle a range of driving situations. The best providers include assistance with rollover prevention and driver awareness. They also promote defensive driving as a safety technique. 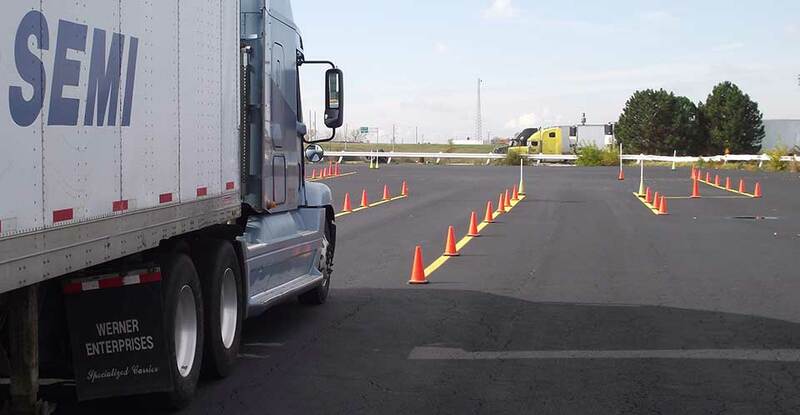 Choose a school that provides both trucks and cars during instruction so you do not lose valuable time using your own vehicles for training. Driver training can save your business money by teaching employees to drive economically. It can also help you reduce accidents by up to 50%, saving your business millions. By upskilling or improving employee skills, your business will be more successful at retaining talent, reducing expenses of high employee turnover and build loyal and trustworthy fleets. Accredited driver training organisations have professional, experienced and certified instructors. These trainers should regularly redo their own advanced driving tests. The best driver training providers are involved in train the trainer initiatives with international partners. Employer recognition: An external certification will enable an employer to recognise and understand that a potential employee's skills adhere to a certain professional standard. This ensures that staff are being hired for the ‘right’ job that utilises their skills, but also ensures a level of enjoyment for the individual in that role. Transferable qualifications: Having a certification that is recognised from industry to industry, as well as from country to country gives a worker a chance to move roles to progress their career. Proof of abilities: A qualification clearly demonstrates a high level of skill and gives an employee instant faith in your abilities. It also distinguishes one employee from another in a competitive environment. Validation of a continuous learning ethic: Certification demonstrates a staff member’s proactivity and motivation to learn and gain new knowledge that will not only benefit them personally, but also reaps rewards for the organisation. Improved and increased knowledge: A certification not only provides a qualification, but also ensures an improved level of knowledge in a specialist area, which in today's fast-paced world is priceless. Improved staff efficiencies: Certified staff are more conducive and perform better. Superior business agility: Upskilling staff with professional certifications makes an organisation more agile and serves to improve performance. With digital transformation now a priority for many companies rather than an add-on, staff that respond quickly, keep on top of trends and embrace shifts in technologies are key. Improved productivity and reduced cost: Employees with certifications tend to stay with organisations longer, reducing hiring costs and minimizing disruption to the business. A time commitment is required. You need to weigh up the cost of taking drivers out the field for a day against the potential cost benefits. Driver training will have a limited benefit if you are merely using it to earn a tax rebate. Your commitment to responsible and educated drivers needs to filter throughout the organisation. You must take your own measures to ensure responsible driving is continually practised. Driver training will require an initial financial investment; however, accredited organisations have a 10-to-one return on investment on average. Driver trainers do not need to belong to an association nor receive a specific qualification to provide training. As a result you need to carefully select a training organisation that has taken its own steps to ensure they provide you with professional and experienced training. For example, some providers have ISO 9000 accreditation, which assures customers of quality service.